Using the purest bioactive organic Pomegranate fruit extract, we ensure that the powerful antioxidant properties found in this anti-aging 'uperfruit' are maximised and protected. 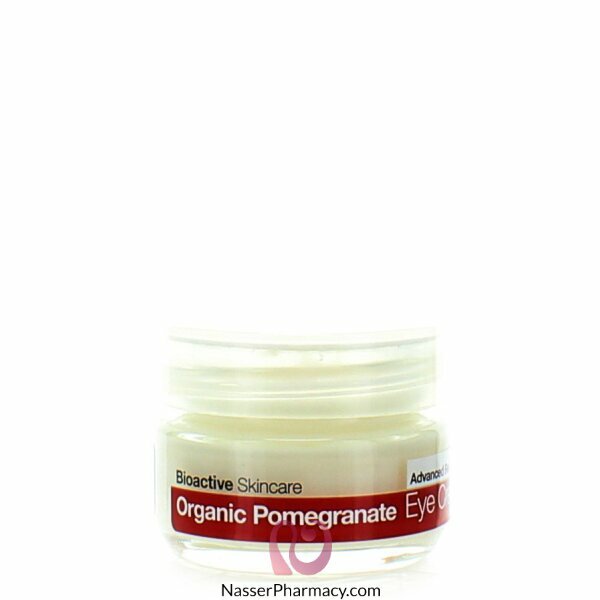 This totally unique anti-aging eye cream visibly smooths and rejuvenates the sensitive tissue surrounding the eyes. The complex blend of phytonutrients, antioxidants, vitamins, essential fatty acids (GLA) and minerals together with Pomegranate, Co-Q10 and Olive Extract work in synergy to help alleviate under eye puffiness, reduce dark circles and improve the appearance of fine lines and wrinkles. Use daily to help rejuvenate the skin leaving it visually smoother, beautifully soft and naturally protected.